The perfect cocktail bar set up requires more planning than you would think. Tools and equipment include measures, shakers, blenders, seives, pippettes, rotary evaporator, sonic homogenizer, smoking gun, JetChill, decanters and that is before you consider the required fridge space for ten different types of glassware, syrups, fruits for garnishes, juices and alcohols. Most cocktail bars are set up with a lack of fridge space to be as functional as a talented mixologist would like. 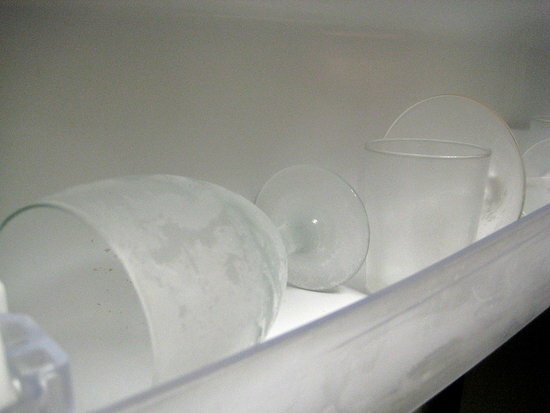 Imagine if you didn’t need fridge space for glassware, imagine if you could chill your glassware to order….. The GlassChill by JetChill rapidly chills any type of drinks glass below freezing. With a simple, single button operation, the GlassChill is quick, easy and safe to operate. At the push of a button the GlassChill will automatically inject super-cool CO2 into any drinks glass through its patented multi directional nozzle, giving the fastest complete -40C chilled glass on the market. Timed button operation leaves your hands free to continue preparing the drink whilst the glass is chilled and assured safety that the unit can not accidentally release CO2 if the glass is not instantly removed. 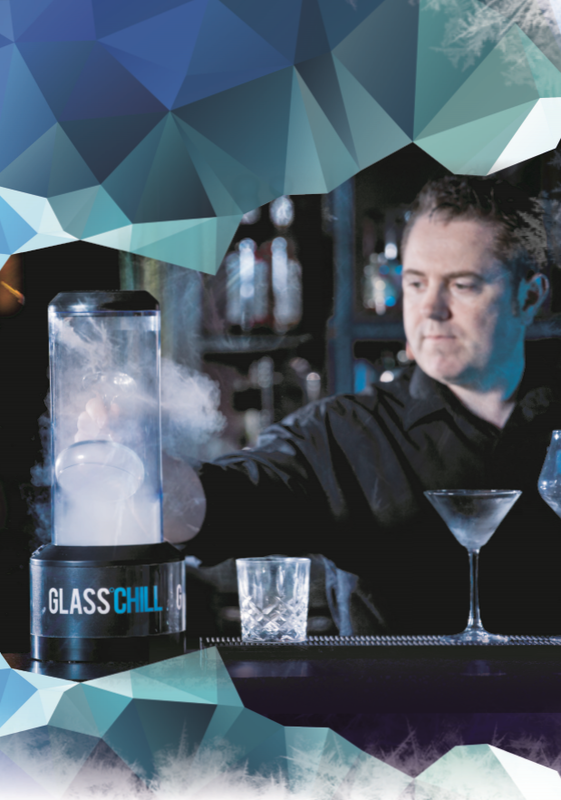 The GlassChill creates fantastic theatre that will amaze your Customers and ensure they drink from ice cold, clean glasses every time. 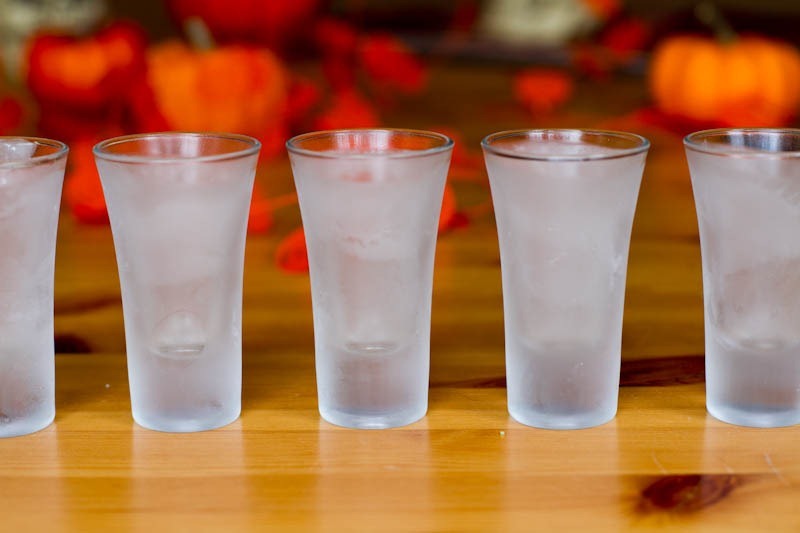 The GlassChill can be used to chill and sanitize drinking glasses as well as small to medium bowls and liquid containers in either glass or food grade plastic. Cold sanitation of glassware is crucial not only from a strictly hygienic point of view: the invisible residue that remains after washing may adulterate the taste and odour of drinks, compromising the quality of the products served. The GlassChill takes just a few seconds to thoroughly sanitize the glass, leaving the product completely free of any unpleasant odours or aftertaste. Fridge tainted glassware is a thing of the past with GlassChill. 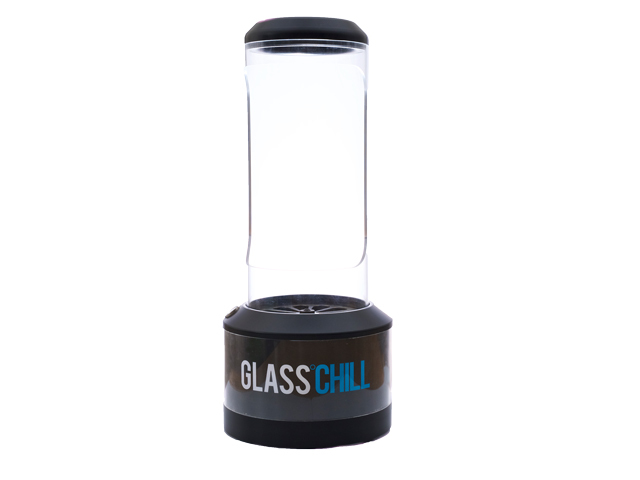 Make the GlassChill your own with glass engraving and company branding on request.